Summary"This book provides the first full-length case study of early postwar Holocaust testimony, focusing on David Boder's 1946 displaced persons interview project. In July 1946, Boder, a psychologist, traveled to Europe to interview victims of the Holocaust who were in the Displaced Persons (DP) camps and what he called 'shelter houses.' During his nine weeks in Europe, Boder carried out approximately 130 interviews in nine languages and recorded them on a wire recorder. 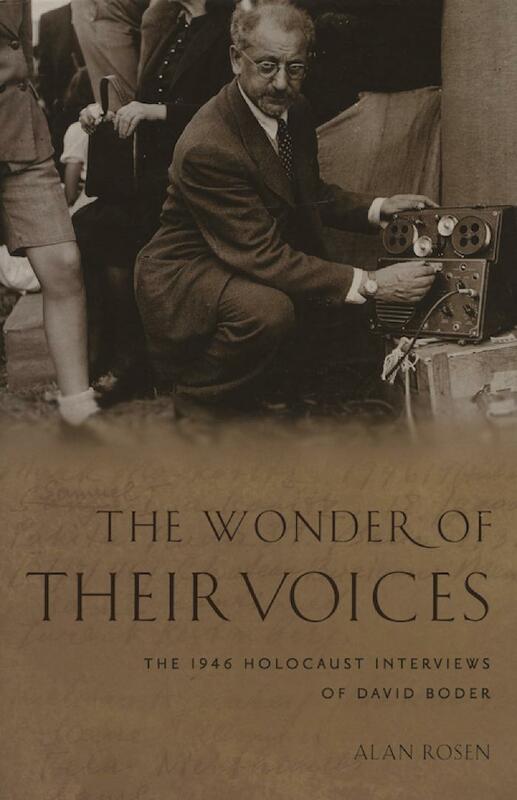 Likely the earliest audio recorded testimony of Holocaust survivors, the interviews are valuable today for the spoken word (that of the DP narrators and of Boder himself) and also for the song sessions and religious services that Boder recorded. Eighty sessions were eventually transcribed into English, most of which were included in a self-published manuscript. Alan Rosen sets Boder's project in the context of the postwar response to displaced persons, sketches the dramatic background of his previous life and work, chronicles in detail the evolving process of interviewing both Jewish and non-Jewish DPs, and examines from several angles the implications for the history of Holocaust testimony.